I’ve been doing this daily blog for over a decade now. It started out as an email and then has morphed a lot into several forms. But basically what I’ve always done is this. I follow the Morning Office out the Book of Common Prayer. Here’s a link to the website I use. Each morning there are three passages (an Old Testament, a New Testament, and a Gospel. There are also Psalms and other readings. I read from them, and then whichever one speaks to me, I write a devotional on it. But I’ve had something happen a few times recently, and it’s made me one to do something a little different. I’ve had different people in different places come to me and ask, Andy, how do I start reading the Bible? Where do I start? What do I do? And this is the thing that I tell them, and I want to be honest, it’s my suggestion. I’m not saying it’s perfect for everyone, it’s just what I suggest. I alway say this. Start with Mark. Don’t worry about starting in Genesis. We can get there later. Start with Mark. I say start with a Gospel, because if you want to know who God is, you need to know Jesus. He is the visible image of the invisible God (Colossians 1:15). When you see Jesus, you see God. So, start with a Gospel. But why Mark? Like I said, this is just me, I like starting with Mark because it’s the shortest and quickest-moving. 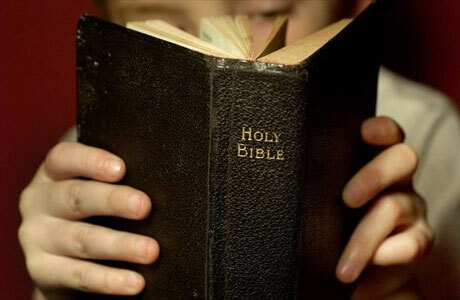 Most scholars think it was the first Gospel written. And I think it’s the easiest to understand. Some folks say start with John, and that’s perfectly fine. John’s got some of the passages that we love the most. But I like starting with Mark. To me, it’s the easiest to understand of the Gospels. So, that’s what we are going to do. For the next, oh, I don’t know, until we are finished, we are going to read through Mark together. Each morning, there will be a passage of Mark, and I’ll offer my own reflection from it. I’m thinking about doing a podcast with it perhaps, and maybe even a vlog. But I think this will be a nice change-up, and a way for us to really get into the Bible. So, starting tomorrow, we’ll read through Mark. I’m going to be pulling the readings from Biblegateway.com and I’ll be using the NRSV, mainly because that’s the most commonly used Bible at the church I serve. But the great thing about this website is you can read for any number of translations. So, starting tomorrow, Mark 1. If you want to get a head start, we’ll be looking at Mark 1:1-8. What do you think? I’d welcome any feedback. Shoot me an email or connect with me through Facebook or Twitter!